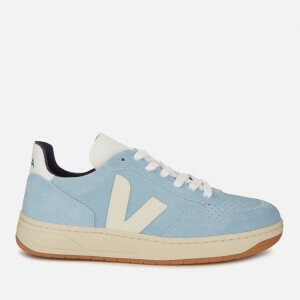 Women's low top trainers from Veja. 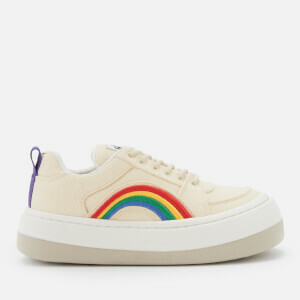 Celebrating the brand's 10th anniversary, the 'V-10' sneakers utilise ecological and sustainable materials to create a sleek upper made from low-chrome leather. 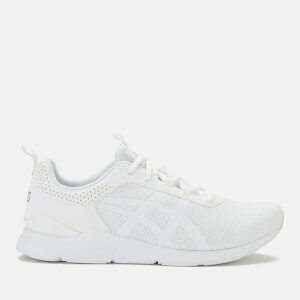 Showcasing a classic design, the trainers feature a rounded toe with perforated panel for ventilation, a lace-up fastening and brand-embossed tongue. Lined in organic cotton and set upon a wild rubber sole, sourced from the Amazonian forest. Complete with branded, contrast panel to the heel, and contrast 'V' logo to both sides in wild rubber. Organic cotton and polyurethane insole. Upper: Leather. Lining: Organic Cotton. Sole: Rubber.